The agro-forestry-fishery sector raked in US$3.13 billion from exports in August, raising the total value in the first eight months of this year to US$25.7 billion, up 7.3 percent year-on-year. According to the Ministry of Agriculture and Rural Development, the best performers in the period included rice, fruit and vegetables, key forestry products and seafood. Exports to major markets like the Association of Southeast Asian Nations (ASEAN), the Republic of Korea (RoK), China, the US and Japan increased significantly over the past eight months. The country exported about 4.4 million tonnes of rice worth US$2.2 million from January-August, up 6.8 percent in volume and 22.1 percent in value from the same period last year. In August alone, 441,000 tonnes valued at US$209 million were shipped abroad. China remained Vietnam’s largest rice importer, making up 24.7 percent of the market share. 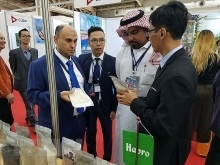 Strong growth in rice exports was also seen in other markets such as Indonesia, Iraq, the Philippines, Malaysia, Ivory Coast and the United Arab Emirates (UAE). 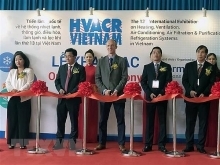 Vietnam earned US$5.6 billion from the export of wood and timber products, representing a year-on-year rise of 12.6 percent. The US, China, Japan and the RoK were the country’s major markets in this sector. 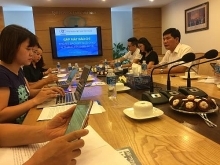 During the reviewed period, the country exported US$5.5 billion worth of aquatic products, up 5.3 percent from the corresponding time last year, mostly to the US, Japan, China, and the RoK. Fruit and vegetable exports were valued at US$2.7 billion, up 14.1 percent year-on-year. However, other key agricultural products like pepper, coffee and rubber saw their export values decrease over the past eight months. 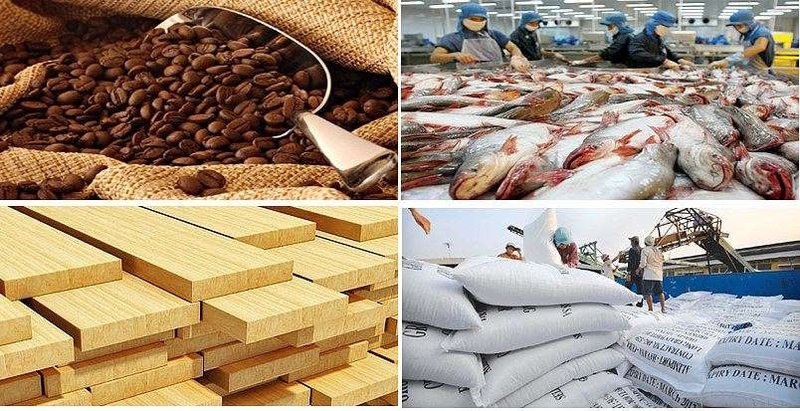 The ministry said import turnover of the sector also expanded by 9.2 percent to US$20.72 billion, with strongest growth seen in urea, corn, seafood, wheat, fruit and vegetables, cattle feed and materials.